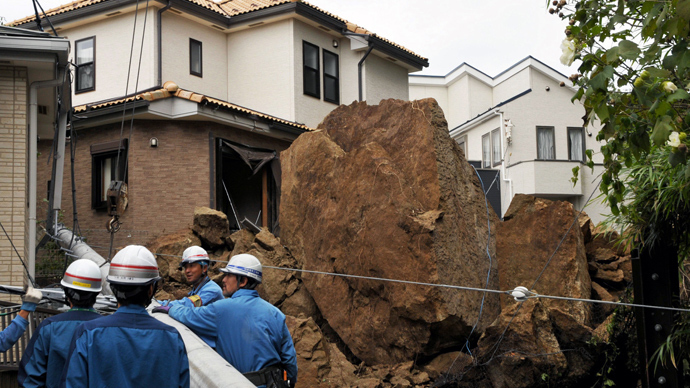 Typhoon Wipha shot through Tokyo and up Japan’s Pacific coastline early Wednesday, killing at least 17 people. Thousands were advised to evacuate, although no major damage was reported. The storm, with sustained winds of 126 kph (78 mph) at its center, was marked by hurricane-level winds and rain that soaked the city’s morning rush hour, leading to disrupted flights, train services, and school activities. Sixteen bodies were found by rescue workers on Izu Oshima Island, located 120km south of Tokyo, according to NHK television. Death of a woman in western Tokyo was confirmed by police. Most of the dead were swept up in mudslides, the Associated Press reported. Over 40 people were unaccounted for and dozens of houses were destroyed on the island, officials said, according to the AP. Though pre-storm speculation billed Wipha as a landmark, once-in-a-decade typhoon, there were no reports of significant damage around Tokyo. However, evacuation advisories were issued to thousands around the capital area. 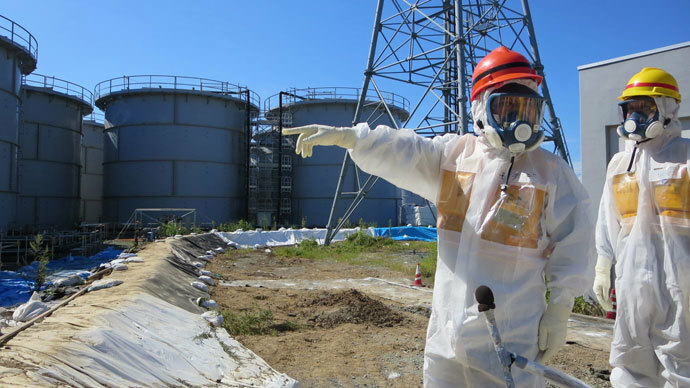 Workers at the Fukushima nuclear power plant north of the city had to pump rainwater out of protective containers surrounding approximately 1,000 tanks holding radioactive water. 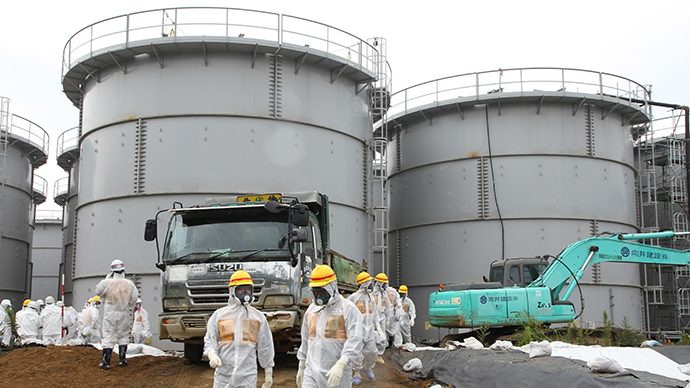 The rainwater will be stored in an empty tank, measured for radioactivity, and released into the sea if not contaminated, according to the plant’s operator, Tokyo Electric Power Company (TEPCO). The area surrounding the plant could receive more inclement weather later on Wednesday, Reuters reported. 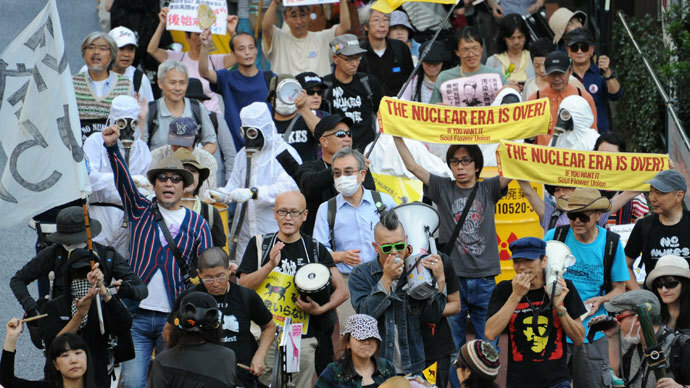 TEPCO stressed before the storm hit that it was preparing for the disaster following the recent leaks of radiation-polluted water from the facility. "We are making preparations for proper management of contaminated water... We will patrol places that could have inflows of water (from the storm)," a company spokesman told AFP. Cables and hoses were bundled together, while ground and off-shore works have been halted, he also pointed out. 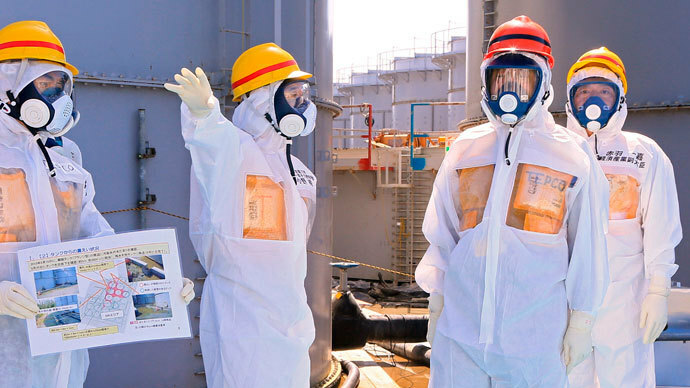 Earlier this month, TEPCO announced 430 liters of polluted water had spilled from a tank as the company’s employees tried to remove rainwater dumped at the plant by recent typhoons. 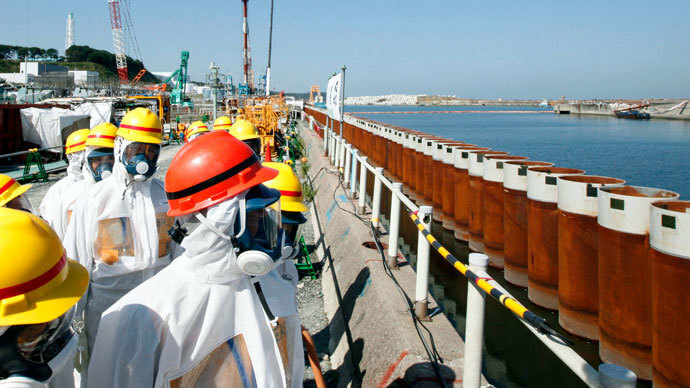 The contaminated water may well have flowed into the sea, TEPCO said. Meanwhile, 450 flights were canceled across Japan in measures ahead of the typhoon's landing. The combined cancellations will affect 60,850 passengers, Japan Airlines Co said. East Japan Railway Co said it had canceled 31 bullet trains going north and west from Tokyo, Reuters reported. “Wipha will remain a strong and expansive extra-tropical system as it tracks along the eastern coast of Japan,” the US-based Joint Typhoon Warning Center reported on its website ahead of the storm.